Today we’re announcing the Adobe XD CC Starter Plan, a free offering of the all-in-one UX/UI design platform. The XD CC Starter Plan includes the desktop version of XD on both Mac and Windows, mobile apps for iOS and Android, and services to empower users to design, prototype and share user experiences with colleagues. With this announcement and the release of new features and enhancements, Adobe XD is the only cross-platform experience design platform to combine both design and prototyping with industrial-grade performance. And, as part of Adobe Creative Cloud, Adobe XD tightly integrates with designers’ existing workflows and top tools such as Photoshop CC and Illustrator CC. Wait, what? 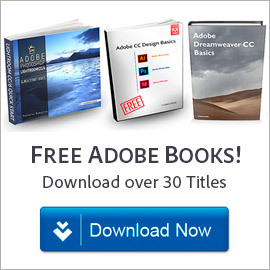 Adobe XD is now free? How and when? Yes. 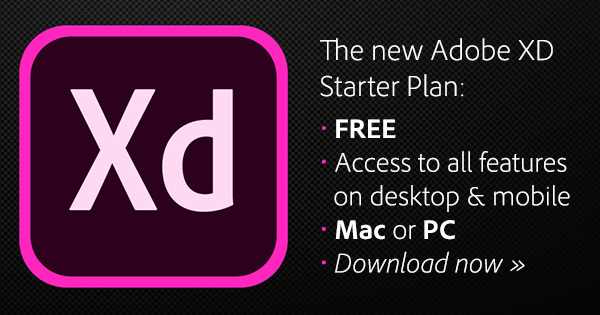 The Starter Plan for Adobe XD is free and available immediately for everyone worldwide. The free plan complements existing Adobe XD plans, including for individuals, teams and enterprises. Get the Starter Plan for Adobe XD for free here. What can Adobe XD do? XD stands for “Experience Design,” and is Adobe’s successful new all-in-one UX/UI solution to quickly go from concept to prototype in designing websites, mobile apps, and more. 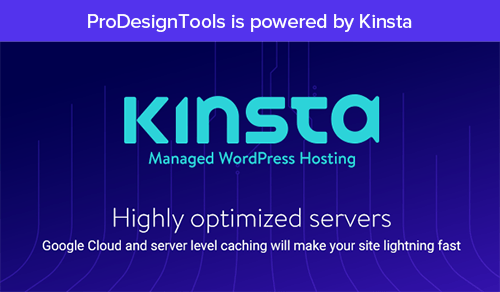 Switch easily from wireframing, visual design, interaction design, prototyping, preview and sharing, all in one powerful tool. Scott Belsky, chief product officer and executive VP of Creative Cloud, says, “Adobe XD now gives everyone everything they need to design and deliver exceptional digital experiences and explore the rapidly expanding field of UX design with no financial commitment”… and he believes that XD will eventually be a bigger product for the company than even Photoshop! So how is the free XD different from the paid plans? Are there any limitations? The free Starter Plan for Adobe XD gives you all the design and prototyping capabilities and you can create an unlimited number of XD documents, export assets for production, and create videos to share your experiences. You get 100% of the features and functionality of the regular paid XD app, with one exception. With the Starter Plan you get one active shared prototype and one active shared design spec, with the option to upgrade should you need unlimited sharing. The paid XD versions (the $9.99/mo. Single App plan and the Creative Cloud All Apps plan) give you unlimited shared prototypes and design specs. See a comparison chart of the differences here. Is the free Adobe XD time-limited? Is it a trial, or does it expire? No, once you download and install XD on your desktop computer, there is no expiration date or time limitation. It’s yours to keep. This is not an experiment or a trial; it’s the permanent full desktop version of Adobe XD. 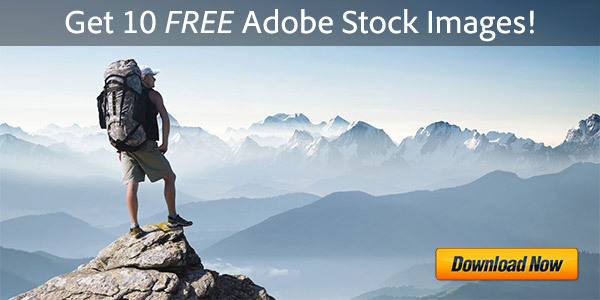 Adobe intends to continue offering this new free plan moving forward. How do I get the free XD plan? There is zero financial commitment and no credit card required. All you need is a standard Adobe ID, which is just a few fields to fill out and free to sign up. Then download XD at no cost and get started instantly. You’ll need a computer that meets Adobe’s minimum system requirements for XD… This means macOS 10.11 (“El Capitan”) or later, or Windows 10 64-bit Creators Update or later (note Windows 7 is not supported). An Internet connection is necessary for required for software activation and access to online services. XD is currently available in English, French, German, Japanese, and Korean. 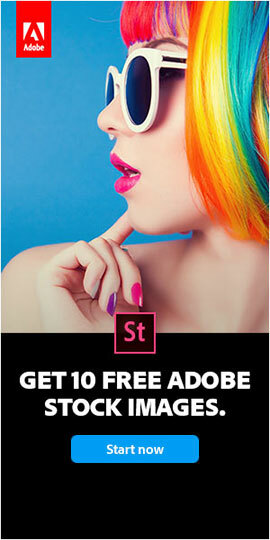 Does anything else come with the free Adobe XD tier? Yes. You also get five free UI resources for Adobe XD, including UI Kits and Icon Sets you can download at no charge. What’s more, the XD Starter tier is now part of the free level of Creative Cloud membership, which also includes 2GB of online cloud storage, Typekit Free for fonts (over 280 to choose from), integration with Creative Cloud Libraries, and a dozen other benefits. How do I get started and learn XD? For starters, check out the excellent free training content on Creative Cloud Learn. There are also tutorials built into the program (covering design and exporting, prototyping and sharing) to help speed you along. In addition, Adobe has just published a new guide on getting to know XD, including 27 MB of example projects and video samples, which serves as a helpful primer for beginners. And don’t miss the free UI kits to jumpstart your designs. What does the future hold for XD? Over the coming months you can expect to see significant progress in advanced prototyping and animation capabilities, new team collaboration features, and support for extending XD via plug-ins as Adobe continues on their journey to provide you with an industrial-grade, end-to-end platform for UI and UX design. The free Starter Plan for Adobe XD includes XD for Mac and Windows 10, mobile apps for iOS and Android, and services to empower users to design, prototype and share user experiences with colleagues. With this announcement and the release of new features and enhancements, Adobe XD is the only cross-platform experience design platform to combine both design and prototyping with industrial-grade performance. A milestone for the global design community, the XD CC Starter Plan enables professional and aspiring designers, teams and students to learn, cultivate and apply their design skills through free access to Adobe XD and share up to one active shared prototype and design spec at a time. And, as part of Adobe Creative Cloud, Adobe XD tightly integrates with designers’ existing workflows and top tools such as Photoshop CC and Illustrator CC. The Starter Plan also includes Typekit Free and integration with Creative Cloud Libraries, making it easy to share and manage assets across devices. Do you have any questions about CC? Just ask below and we’ll get you answers fast! What happens if I’m on the free plan and want to create a second design or additional projects? If you want multiple projects, then you can upgrade your plan from within XD by selecting Help > Upgrade. You can also click “Upgrade Now” from the pop-up window that opens when you try to publish more than one prototype or design spec. I have my illustrator cs6, can I use the XD you are providing. Absolutely you can use it. 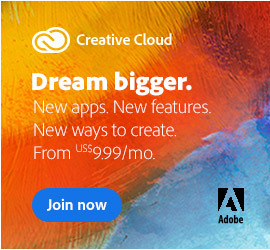 No matter what other software you have (or don’t have), downloading & using Adobe XD is completely free… You don’t need a Creative Cloud paid subscription. No other CC software is necessary. Get the Starter Plan for Adobe XD for free here. Yes, It's True: Adobe XD (New Experience Design Tool) Is Now Free!